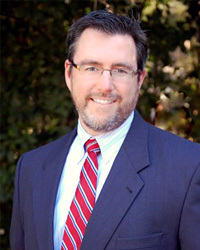 A. Jay Fowinkle - The Marks Law Firm, P.A. A. Jay is an established family law and criminal defense attorney with more than 13 years of experience in Seminole, Orange and Osceola Counties. A. Jay is passionate about representing his clients and takes very seriously the vulnerability clients find themselves in when dealing with a legal crisis. He is committed to providing excellent legal guidance and walking with his clients through their time of need. As a prior US Navy Veteran and son of a decorated Navy Commander Aviator, A. Jay understands the difficulty military life can have on families and is driven to represent veterans and/or their families. It is for this reason A. Jay has volunteered his time as a mentor and attorney in Veterans Court. A. Jay has also volunteered his time providing speeches to various groups focusing on self-help and addiction issues. In law school, A. Jay was selected to be a member of the Moot Court Honor Society based on his oral advocacy skills. Through competition, he won the opportunity to represent his school as a national competitor in Washington D.C. This litigation prowess continues with A. Jay in private practice where he has conducted over 50 trials in criminal defense and family law cases. He is an active member and Elder of Northland Church. A. Jay and his wife Jennifer have two children, JT, (11) and Ashlynne (9).